Recently I’ve seen a lot of posts and comments from younger people who think we shouldn’t celebrate the anniversary of the signing of the Americans with Disabilities Act (ADA), quite simply because it does not go far enough. They claim that without any real enforcement, public entities are not held to the standards laid out by the US Access Board. Granted there isn’t any “policing agency” going around to businesses and handing out fines for access violations; however the Department of Justice (DOJ) has issued some fines after complaints were received from consumers. Admittedly, not every complaint results in a fine or even an investigation, but when there seems to be a pattern the DOJ does act. And most of the people that dis the ADA weren’t around in pre-ADA times. Now I know I sound like an old coot when I say that, but since I just turned 60 last week I guess I now have coot status. With that in mind, here are some of my pre-ADA remembrances. I clearly remember when there were no curb-cuts or accessible parking spaces around. Seeing someone in a wheelchair in public was a rarity; in fact many folks were confined to nursing homes – many against their wills. When you did see a wheeler out and about it was usually in a doctor’s office, not at a restaurant or bar or even a movie theater. And quite frankly the doctor’s offices weren’t that accessible either. I also remember the ADAPT fight for access to Greyhound buses after the ADA was passed. True, the ADA mandated access for over-the-road buses, but those regulations and that access didn’t come for years. I had many friends who were carried aboard buses, and a lot of them were injured in the process. I also remember one friend telling me that one of his college classes was on the second floor, and since he used a wheelchair and there was no elevator, he was forced to crawl up the stairs. Nobody even thought about moving the class on the first floor. Reasonable accommodations were unheard of back then. And then of course, there’s the remembrance from one of my well-traveled friends. He reminded me that the only accessible transportation he could find to the airport in pre-ADA times was an ambulance. Not a very nice way to start a vacation, eh? Could the ADA be better? Sure, but like all regulations it is evolving. I hear from many folks that they would like bed height covered in the ADA, and even some who think Hoyer lifts should be required in accessible hotel rooms. Will this ever happen? Who knows – at this point my crystal ball is a little murky. But I do know that you have to start somewhere and in this case that somewhere is our current ADA. It’s a solid foundation that can be improved over the years. And for that reason, I will celebrate this – and every – anniversary of the signing this important piece of legislation into law. 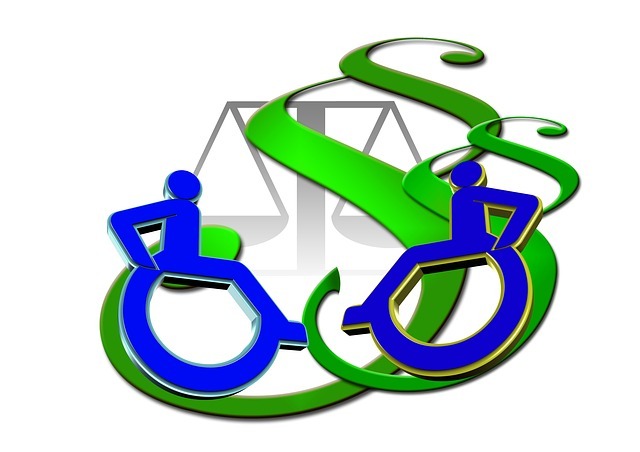 This entry was posted in Editorial, Events and tagged access, Access Board, ADA, ADAPT, law, transportation, wheelchair by Candy B. Harrington. Bookmark the permalink.